I just love limes. They are just so good. As a matter a fact just thinking about them makes me wish I had a tall cool glass of Cherry Limeade Cocktail. These delicious cocktails are not too heavy and not too sweet. They are perfect libations for the end of the work day or work week I also love these Lime Pudding Cakes! They are a tantalizing treat for even the most discriminating palate. They are soft, creamy and sweet with just the right amount of lime juice to satisfy that tang we desire!! 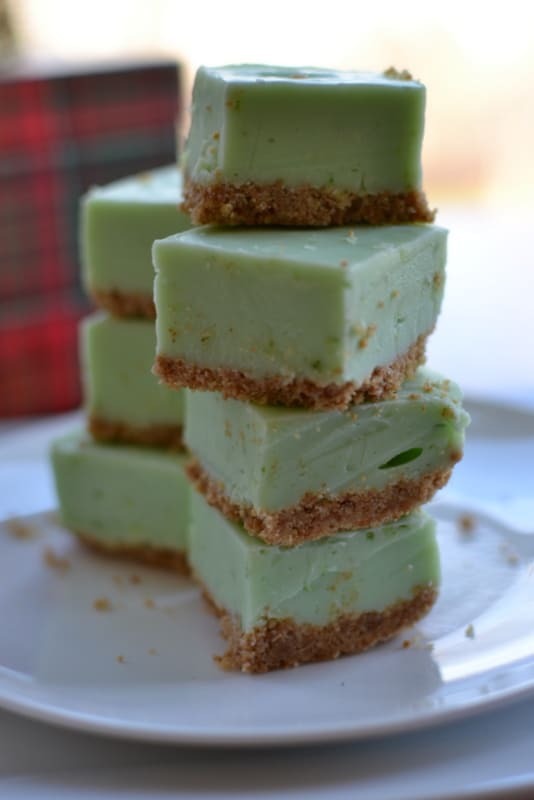 Today though was all about this Quick and Easy Key Lime Fudge! No Key Limes in your neck of the woods right now? No problem just use your standard run of the mill limes. They have lip smacking goodness too! 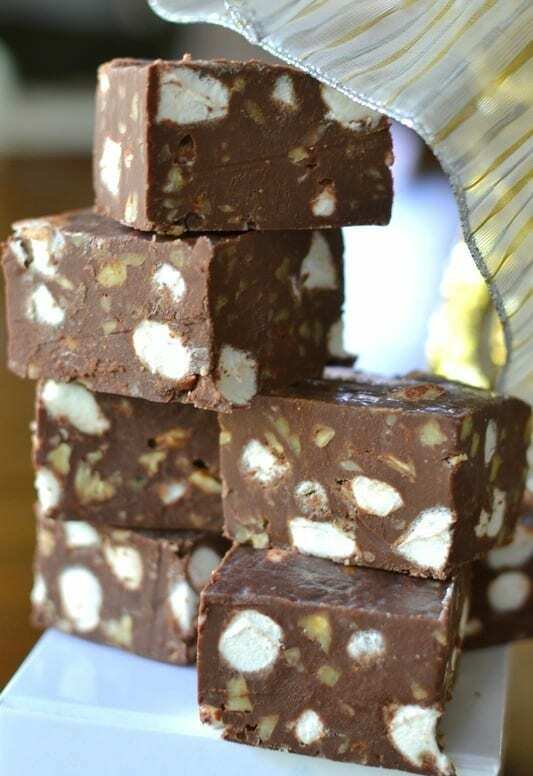 This fudge is so easy and virtually foolproof. 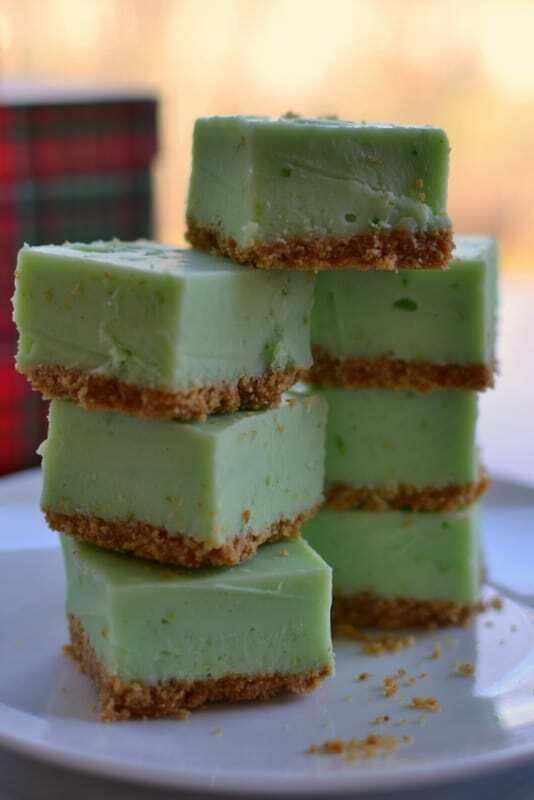 This Quick and Easy Key Lime Fudge is your answer to beautiful creamy delicious fudge with very little effort. No candy thermometer, no broken arm, and no messed up fudge that you have to find a home for!! This super easy fudge can be whipped up in about 15 minutes and that includes the seven minutes to cook the graham cracker crust. It is perfect for Christmas, Valentines Day or maybe just because it is your darling daughters birthday and she is a huge lime lover too! Are you a lime and lemon lover? Which is your favorite? I love both but I prefer limes. When I was around five years old my parents took us to Mazatlan Mexico and for some reason the highlight of that vacation for me was the most delicious limeade I have ever had. I still remember it to this day. But I was so young that I did not think to ask for the recipe! DARN IT! 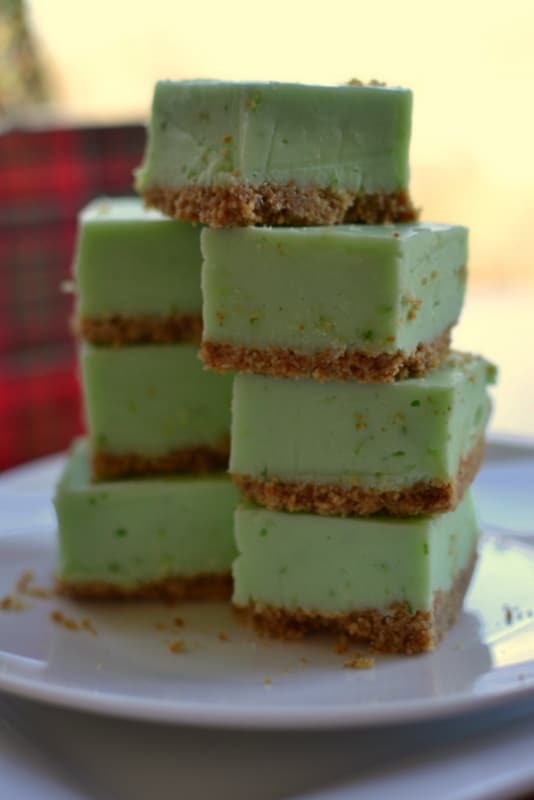 This Quick and Easy Key Lime Fudge with its scrumptious graham cracker crust brings out the best that limes have to offer in an easy no fuss fudge! Line 8-inch square pan with aluminum foil, extending foil over edges. Spray foil lightly with nonstick baking spray. In small bowl mix graham crackers, melted butter and sugar. Press crumb mixture firmly into the pan on top of the aluminum foil. Bake at 350 degrees for 6-7 minutes. Combine white chocolate chips and sweetened condensed milk in large microwave-safe bowl. Microwave on high for 1 minute and stir. Microwave for 30 second intervals stirring between each interval until white chocolate chips are melted and mixture is smooth and creamy. Total time in microwave will be about 2-3 minutes. Add lime juice one tablespoon at a time, lime zest and green food coloring (if desired) stirring continuously. Try to work quickly. Pour into prepared pan over the graham cracker crust. Cover and refrigerate 1-1 1/2 hours or until firm. Carefully remove from pan and peel off the foil. Using sharp thin knife cut into squares. Heating the knife in hot water really helps in cutting the fudge. Make sure you dry the knife well before cutting the fudge. 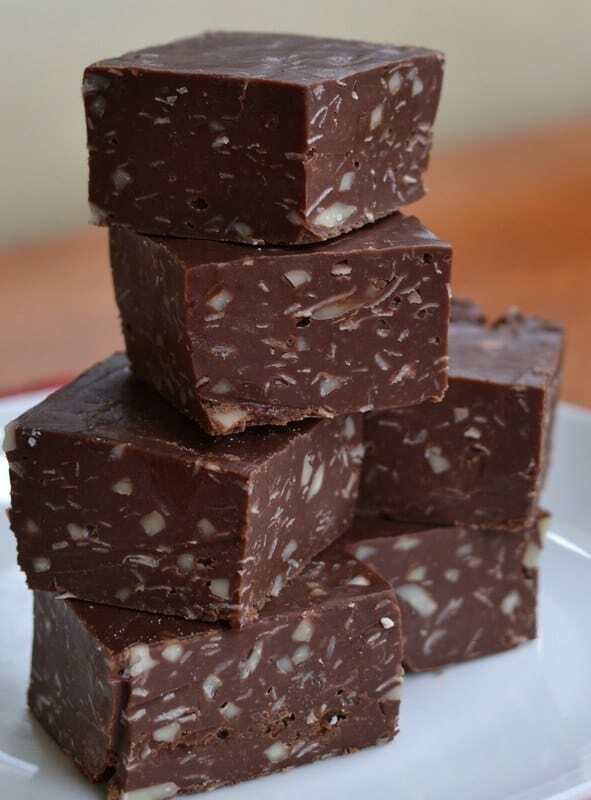 Other fudge recipes you will love!